To finalise by end of year the ‘blacklist’ of non-cooperative jurisdictions for tax purposes; and reaches deal on ATAD2, European Commission welcomes agreement that fights BEPS (hybrid mismatches) involving non-EU countries. The Council of the EU sitting as ECOFIN discussed on 21 February 2017 the EU list of non-cooperative jurisdictions for tax purposes. The Council agreed to establish a final list of non-cooperative jurisdictions by the end of 2017. An agreement has also been reached on the scope of the application of the Criterion 2.2., as established by the Council in its criteria and process leading to the establishment of the EU list of 8 November 2016. Criterion 2.2. establishes that “a jurisdiction should not facilitate offshore structures or arrangements aimed at attracting profits which do not reflect economic activity in the jurisdiction.” The 8 November 2016 Council conclusions lay down the tax good governance criteria that should be used to screen jurisdictions, and, establish guidelines for the screening. The established criteria are related to tax transparency, fair taxation and implementation of anti-BEPS measures. The establishment of EU ‘blacklist’ of non-cooperative jurisdictions is a follow-up of the Panama Papers revelations. European Union’s actions are taken in line with the OECD work in the Global Forum on tax transparency and exchange of information for tax purposes. On 21 February 2017, the Council of the EU also reached agreement on the finalised text of the Directive extending the scope of the original Anti-Tax Avoidance Directive (“ATAD”). The “ATAD 2” Directive will extend the scope of the ATAD to include hybrid mismatches involving third countries (non-EU Member States) and will tackle specific hybrid scenarios, for example those relating to permanent establishments (“PE”), dual resident entities and hybrid financial instruments. The ATAD has an implementation deadline of 31 December 2018 whereas ATAD 2 will for the most part have a deadline of 31 December 2019, and up until 21 December 2021 for certain aspects (i.e. reverse hybrids). The European Parliament must now issue an Opinion after which the Council of the EU will adopt the Directive. Pursuant to the finalised text, a hybrid mismatch will not arise where the payer jurisdiction under an “on-market hybrid transfer” requires a financial trader to include all amounts received under the transferred financial instrument as income. Therefore, a hybrid mismatch will only arise to the extent that the payer jurisdiction allows the deduction to be set-off against an amount that is not dual-inclusion income. Finally, payments made by a financial trader will not be considered to be hybrid payments under the Directive unless they arise in the context of associated enterprises, between a taxpayer and an associated enterprise, between the head office and PE, between two or more PEs of the same entity, or under a structured agreement. In the context of reverse hybrid mismatches which arise when the hybrid entity is located in a Member State, the reverse hybrid entity will be regarded as tax resident in that Member State and taxed on the income that is not otherwise subject to tax. The reverse hybrid provisions will not apply to recognised collective investment vehicles. In order to avoid any unintended consequences between the hybrid financial instrument and the loss-absorbing requirements imposed on banks, Member States will be allowed to provide an exemption for intra-group instruments that have been issued with the sole purpose of meeting the issuer’s loss-absorbing capacity requirements. 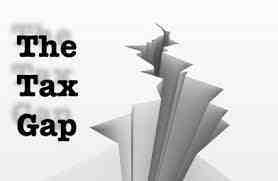 The carve-out will not apply if it arises under a structured arrangement or is done for the purpose of avoiding tax. This carve-out will be limited in time until 31 December 2022 and the Commission will present a report assessing the consequences.